Knights of Moleskine, Spirit, and Ale have always believed that beer drinkers can help make the world a better place. Even if all they do is endeavor to engage and make friends with one another, beer drinkers are helping to make the world a better place. Well, I recently discovered some new friends who beat us to the punch by a few years. Beer Church is a Seattle-based organization dedicated to one simple principle -- make the world a better place one beer at a time. To that end, we organize fundraisers that provide easy and fun ways for beer lovers to contribute to the community. We have been doing it for 11 years. In that time, we have raised nearly $100,000 for a number of different charitable causes. With love in our hearts and beer in our hands, we have helped pet shelters, food banks, women's shelters, and many other worthy causes. 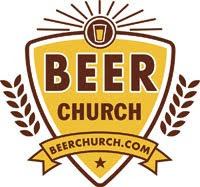 Beer Church is about the spirit of goodwill that beer embodies. It's about positive social interaction. It's about being part of something that is good. And, of course, it's about beer. 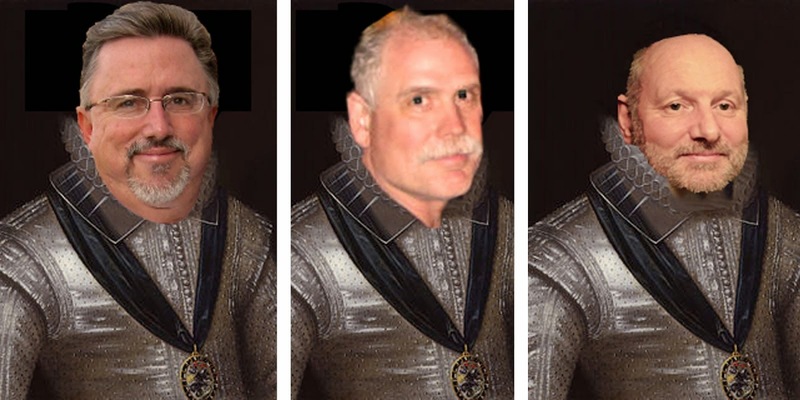 And, here's an idea to all you good Knights out there: Beer Church is seeking local group leaders to help organize local chapters, maintain the local chapter's Web page, and help us advance their mission. Click here to read more about being a group leader. lol...at first i thought this looks fun and i still guess it is...but i had a quick poke around it and find they have gone in for the full theological Hirarchy of names... lol...quite the quickest way to send the average Brit screaming to the hillsides...( as mentioned in early blogs Brits in general dig spirituality...but don't dig all the names and cushy jobs and robes and hats involved. 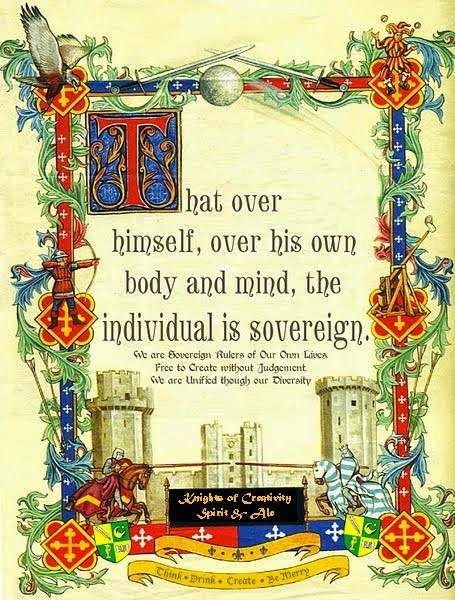 So i doubt i'll be starting up a chapter...as its bad enuff trying to explain to people that I'm not part of a Catholic Fraternity called The Knights of Columbus. should say " even tho the place is covered in 13th cent churches which we love "
The Knights have their own Temple of Spirituality. Cheers to the Beer Church. I attending the headline talk last night at a Medical Marketing conference and they had Bert Jacobs, the founder of "Life is Good" T-Shirts and now world brand speak about optimism fuels action. His organization gives away millions every year while still posting double digit profit growth annually. Not bad for a guy who started in the basement of his parents house and sleeping in a van busking T-Shirts down the east coast. He still wears jeans and a T-Shirt and was throwing fresbies into the stuffy crowd, waking up the dead man in us all!